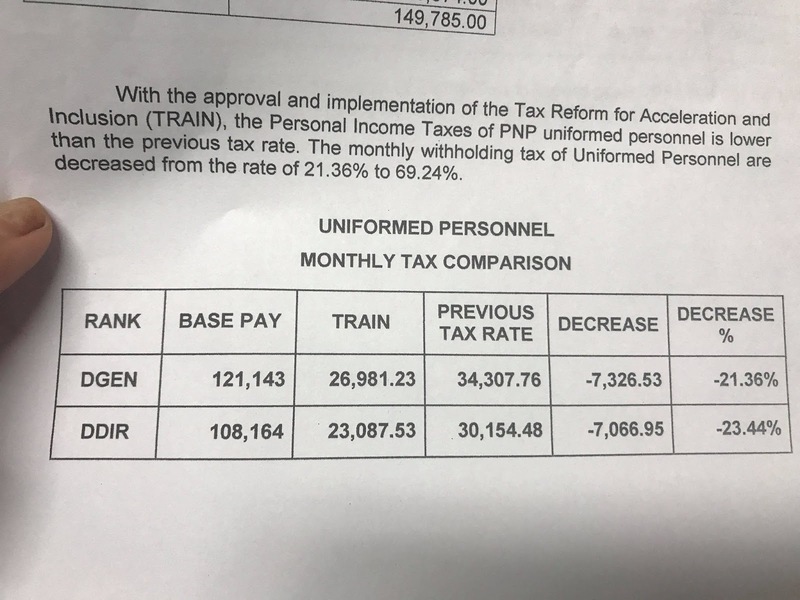 The Modified Base Pay Schedule shall apply to all military personnel under Department of National Defense (DND) and uniformed personnel under the Department of Interior and Local Government (DILG), Philippine Coast Guard (PCG), and National Mapping and Resource Information Authority (NAMRIA). In the joint resolution those entry-level officers including the Police Officer 1 (PO1), Fire Officer 1, Jail Officer 1, a private, Apprentice Seaman and Seaman Third class will now be receiving a 100% increase. 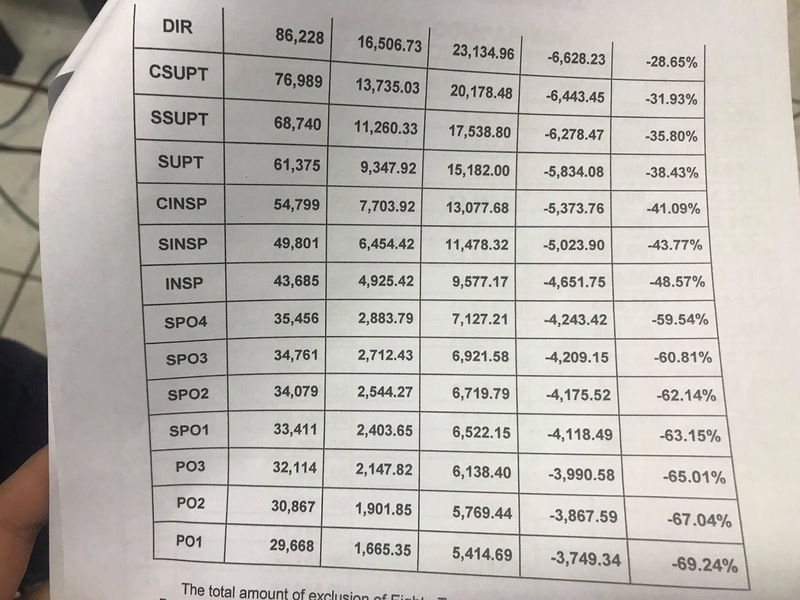 From Php 14,834.00 to 29,668.00. Images posted above are courtesy of PTVnews. 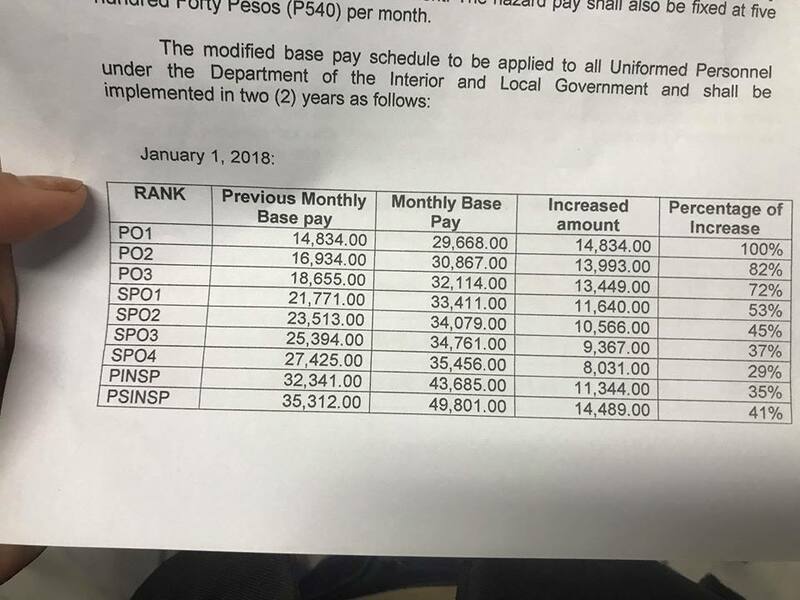 Salary increases for policemen and uniformed personnel has been a promise of President Duterte since he assumed the position. 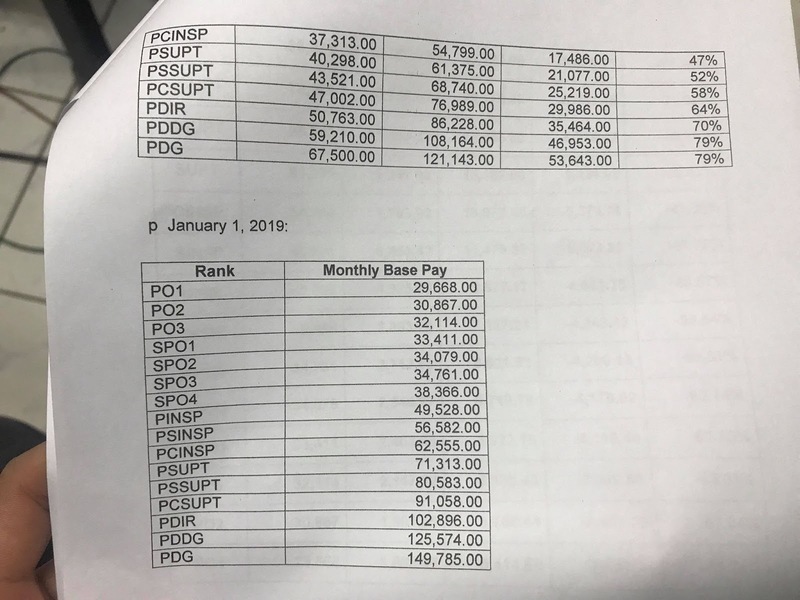 Philippine National Police (PNP) spokesperson, Chief Superintendent Dionardo Carlos said that the salary increase must be reciprocated with better services. Likewise, he added that this shows that the government is valuing the sacrifices of the uniformed personnel in performing their duties. Well, it’s very clear. He asked his Cabinet members to find ways to increase the salary of teachers.